This little dwarf antelope is rather endearing! He moves up and down rocky terrains with gentle ease and has a rather majestic baring in spite of his size. Because of his ability to traverse rocky areas with speed, he is often able to outrun and out-maneuver predators. 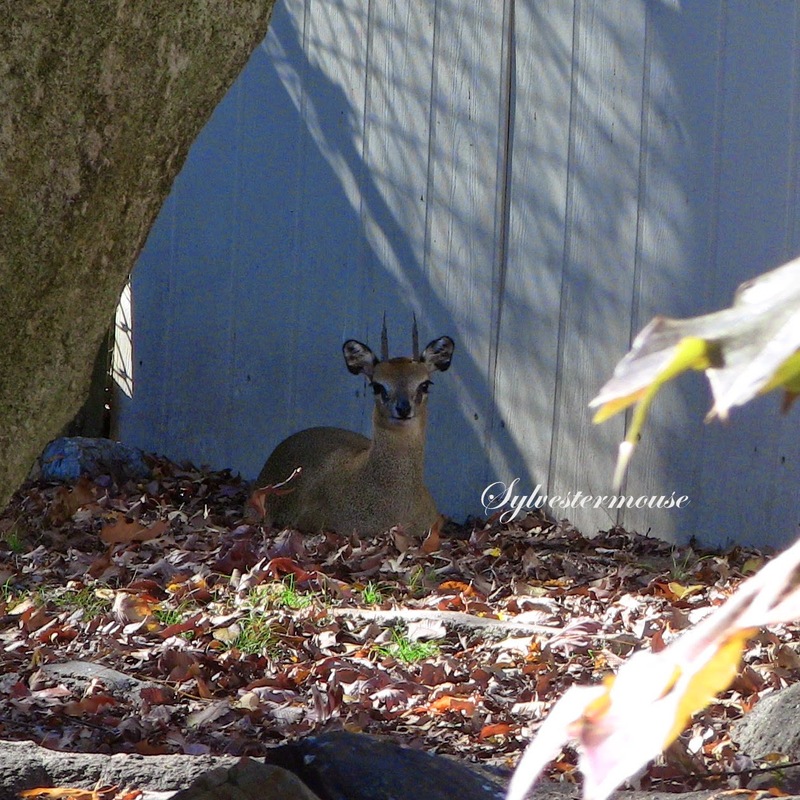 Klipspringer Antelopes often remain perfectly still for long periods of time and we often overlook them simply because they blend into their surroundings so well. Their hoofs are like two tiny rubber toes which are delicate in appearance, but quite rugged in reality. Those hooves allow them to jump and bound freely through rocky areas and truly "stop on a dime" with perfect balance. 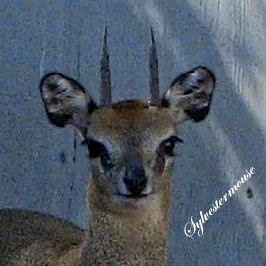 The Klipspringer Antelope stands approximately 20" tall. Body Length up to 3 feet long. Weights about 24 - 29 lbs. The Female is heavier. Small pointed horns approximately 4" long. 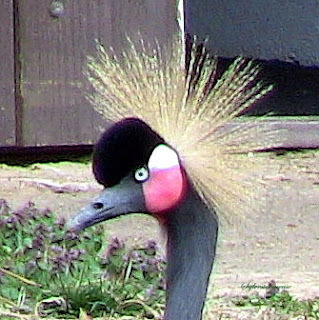 Usually only the males have horns. Herbivores that eat only leaves, fruits, berries, seeds, succulents, and grass. Requires only the water from food sources. Does not need a separate water source. Pairs mate for life and live in permanent territories. Families consist of both parents and their lambs. Only 1 lamb is born after a 7 month gestation time. For the first few months of life, lambs stay where they were born, which is usually in a secluded alcove for protection from predators. Lambs stay in a family group with their parents up to a year. 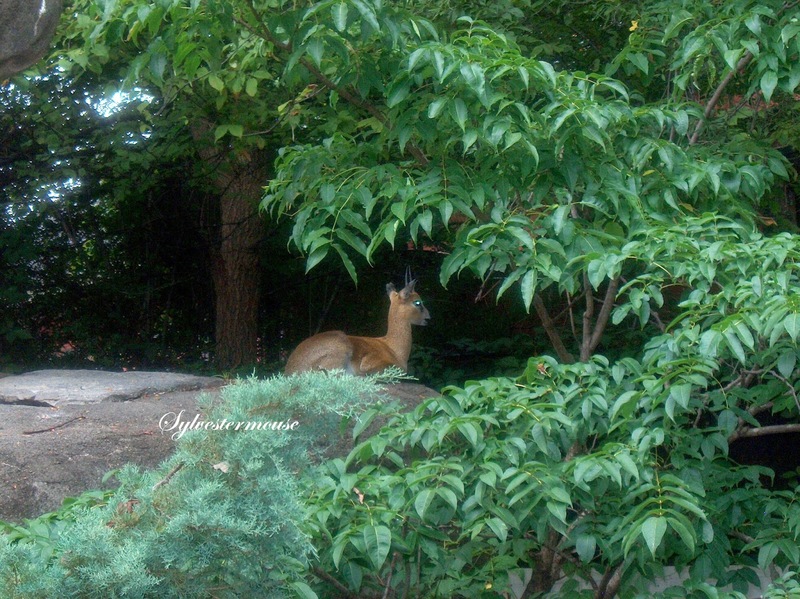 The Klipspringer Antelope is Home on His Rock! Interest that this antelope needs no water source separate from the food it eats.